TAMPA, Fla. /Florida Newswire/ -- The C Diff Foundation hosts "C. diff. Science" on Sept. 14 to honor professionals dedicated to the scientific research and development in the Clostridium difficile (C. difficile, C. diff.) community worldwide, chaired by Professor Simon M. Cutting, PhD, of Molecular Microbiology at Royal Holloway, University of London. TAMPA, Fla. /Florida Newswire/ -- The C Diff Foundation announces its "Bake Sale for C.diff. Awareness," a month-long campaign beginning May 2017 in Florida and continuing in N.J., N.C., and across the USA to India, and Italy featuring education and advocacy on health care topics pertaining to the most common pathogen identified as a leading healthcare-associated infection (HAI) in U.S. hospitals alone: Clostridium difficile. LAS VEGAS, Nev., April 4, 2017 (SEND2PRESS NEWSWIRE) -- C Diff Foundation's 5th Annual International C.diff. Awareness Conference and Health EXPO will be hosted in Las Vegas, Nev. on November 9 & 10, 2017 at UNLV-Thomas and Mack Center. A panel of C. diff. survivors will join world-renowned experts delivering presentations on health care topics pertaining to the most common pathogen identified, a leading healthcare-associated infection (HAI) in U.S. hospitals alone: Clostridium difficile (C.diff.). NEW PORT RICHEY, Fla. /Florida Newswire/ -- C Diff Foundation(R) a leading non-profit patient advocacy organization, Global healthcare information system, today announced the scheduled events and launching of the 4th annual November C. diff. Awareness global campaign, the first month long awareness campaign of its kind in the healthcare industry. November 1st is dedicated to all C. diff. Survivors worldwide. 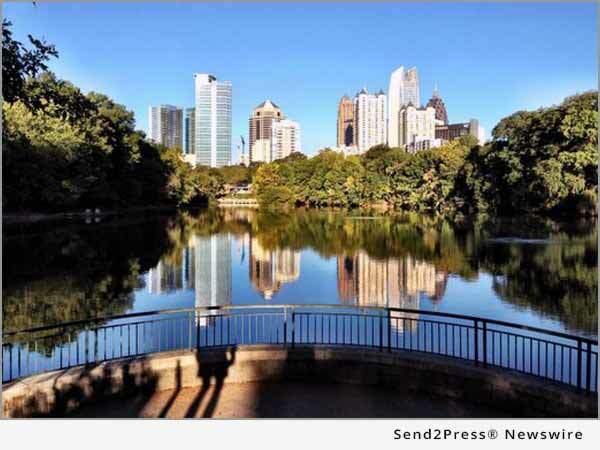 ATLANTA, Ga., June 20, 2016 (SEND2PRESS NEWSWIRE) -- C Diff Foundation's 4th Annual International Raising C.diff. Awareness Conference and Health EXPO will be hosted in Atlanta, Ga. on September 20, 2016. A panel of C. diff. survivors will join world-renowned experts delivering presentations on health care topics pertaining to the most common pathogen identified, a leading healthcare-associated infection (HAI) in U.S. hospitals alone: Clostridium difficile (C. diff.). TAMPA, Fla. /Florida Newswire/ -- The C Diff Foundation 'International Raising C. diff. Awareness' Conference and Health Expo will be hosted in Atlanta on Sept. 20, 2016 featuring world-renowned experts delivering presentations on health care topics pertaining to the most common pathogen identified, a leading healthcare-associated infection (HAI) in U.S. hospitals alone: Clostridium difficile (C. diff. ).